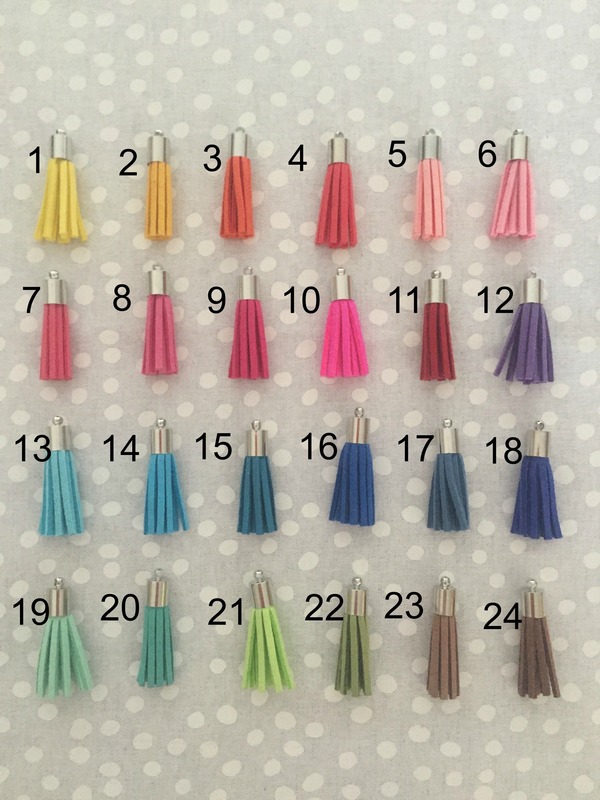 Modern Style Tassels – 5 of your choice. Please enter your colour choices in the box below. Choose 5 different shades or choose multiples of your favourites! It’s up to you! Each tassel is 3.5cm / 1.5″ and comes with a jump ring to attach it to zippers and other hardware.